The Annual Edinburgh International Science Festival took place in the Scottish capital last week. And our space dome team was lucky to attend a very interesting talk called “Celebration of women in Astronomy” by an Astrophysicist Jocelyn Bell Burnell (the talk was based on the article that you can find here). If the name sounds familiar, it might be because we already mentioned Jocelyn Bell in one of our previous posts Nobel Prize in Astronomy. In 1974 Martyn Ryle and Antony Hewish received the Nobel Prize “for the pioneering research in radio astrophysics”. Hewish, in particular, received the prize for the discovery of pulsars. Back in 1967 Hewish and his team built a radio telescope to study quasars. His graduate student Jocelyn Bell was one of the team. She was in charge of the telescope’s data analysis. Bell was the first to spot small “scruffs” in the data that turned out to be pulsars. 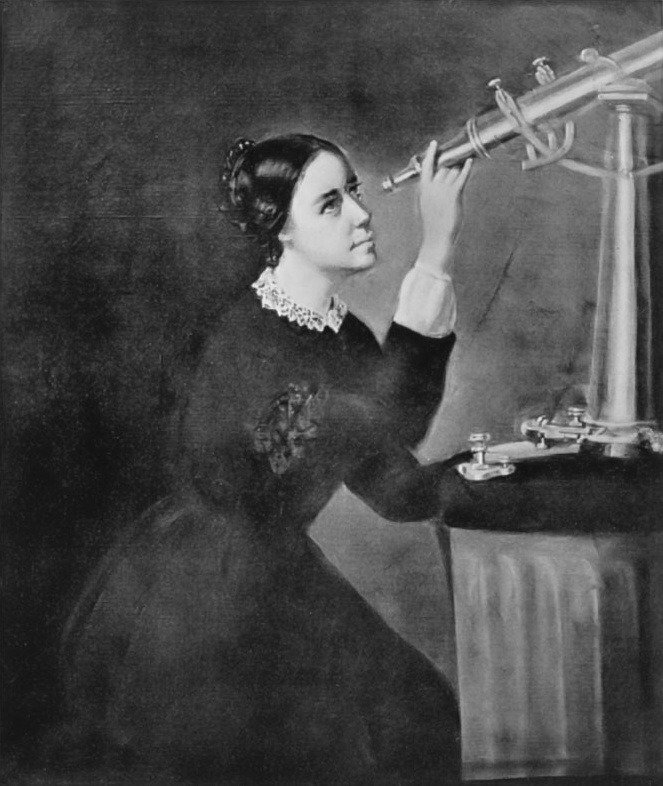 Many Astronomers thought is was unfair that Bell did not get any credit for her discovery. After the graduation Bell turned her attention to Gamma and later to X-ray Astronomy. She worked at many leading universities and observatories. Now she is a visiting professor at Oxford University. After the talk somebody asked Bell Burnell about the Nobel Prize controversy. She said:”some things you cannot fight in this life and you only look silly if you try”. Bell Burnell started the talk with the stories of four female Astronomers Caroline Herschel, Cecilia Payne-Gaposchkin, Vera Rubin and Rebecca Elson. All of them had difficulties establishing themselves as scientists. In predominantly all-male academic society they had troubles all the way along their scientific careers from getting an access to education to getting a job and having their discoveries recognized. While it is hardly surprising that a woman in science had a hard time at the end of 18th – beginning of the 19th century, it is quite disturbing that we are still talking about this problem today, nearly 200 years later. Jocelyn Bell Burnell showed us recent gender distribution tables for the International Astronomical Union members. There are 16% of women among the IAU members at the moment *(we only looked at countries with more than 200 members). Italy (26%), France (25%), Brasil (23%), Spain (20%) look the most “women friendly” and UK (13%), USA (14%) and Canada (14%) are below average. The speaker argued that the percentage of women drops even further the higher the academic level. So…is this a problem? And, if so, what the problem is exactly? Are women wired differently than men so that most of them are just not good at science? Do we still, consciously or not, associate women with traditional roles, such as housekeeper, nurse, school teacher? Or maybe male scientists deliberately make it difficult for their female colleagues to fit in and advance along the career path? Well, if you are curious about how male vs female brain is wired and whether it has anything to do with occupations we tend to choose, I would like to introduce you Professor Cordelia Fine of the University of Melbourne. She was awarded the 2018 Edinburgh Medal for “challenging gender perceptions in science and her contributions to society’s understanding of gender stereotypes”. Here is our favourite talk “Delusions of Gender” by Prof Fine. Long story short: she claims that male and female brains are no fundamentally different. The studies that say otherwise are inconsistent, biased or based on wrong assumptions. Next, is there a gender based discrimination when it comes to women in Astronomy? This is a very difficult question to answer. There is no objective way to measure the impact of a gender on a career of a particular scientist. Yes, we can look at a male/ female percentages on each academic level from graduate student to full professor (and we will most likely see a much steeper decline on a “female” half of the table). And at the salary numbers. But what do those numbers actually mean? The modern academia is a very pushy and competitive environment. Scientists, both male and female, should not only to do great research and produce decent papers, but also bring money to their research facility (via grants and student fees). Many women scientists describe their work environment as “hostile” and “unfriendly”. But, believe it or not, so do male scientists! Yes, women face additional challenges as usually they (and not their husbands) take career breaks to look after the kids, often returning to work part-time. There is a number of initiatives, such as Athena SWAN in the UK, that try to address the problem of gender inequality in STEMM disciplines. Although Athena SWAN seem have a positive role in advancement of gender equality in general (for example, see this 2017 study), it is clear that possibilities of such approach are quite limited. Some even talk about positive discrimination! (Student newspaper “the Badger” has a brilliant debate article Positive discrimination in employment is unfair). Maybe by focusing on healthy work climate and trying to separate the problems of funding and research advances universities could create a better atmosphere for all the researches, men and women, to work in? And finally…do stereotypes about “traditional occupations” have something to do with the low number of women in Astronomy? I think they do. And this is something we can address! Our job as parents and educators is to explain the kids they can choose any profession they like. It is OK for a boy to be a nurse! It is OK for a girl to be a rocket scientist! When the children visit our portable planetarium, we try to show them how cool science is. We try to answer their questions about space, but, more importantly, we try to raise new ones. We tell them that if they want to explore space when they grow up, they can. And the best thing? Girls tell us they are planning to become astronauts/ astronomers/ space engineers just as often as boys do! After all…girls can do anything, right?